Still family owned after 50 years we are committed to providing a unique, family friendly, comfortable place to shop for your home. Did Valentine’s Day break the bank? Don’t worry, we’ve got you covered. Drop by our Presidents’ Day Sale where you’ll find storewide savings up to 67% off! Not only that but we’ve got an instant sales tax rebate, 5 years free financing and free delivery! The whole deal is a total steal. P.S. We’re having a Presidents’ Day Mattress Sale as well! 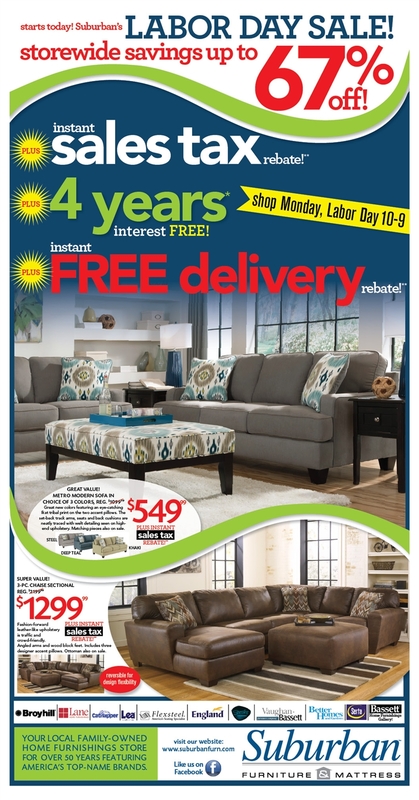 Welcome to Our Labor Day Sale! School is about to start. Fall is right around the corner. Isn’t it time for a little appreciation for the upcoming cooler months? How about starting with our Labor Day Sale? Inside you will find some unbeatable deals for fall that will be sure to please. So drop by and visit us this weekend! We love telling you more about some of the brands we carry and we hope you’re enjoying learning more about some of your favorite brands as well! Today we’d like to tell you a little more about Bolton. So sit back and relax and have a closer look at what Bolton is all about. At Bolton Furniture it is our goal to offer you the best possible value in Kids Furniture, Guest / Second Bedroom, Sleep, Study, Storage and Entertainment Wall Solutions. We want your entire buying experience to be the best it possible can be. Bolton Furniture is a source of Youth Bedroom Furniture, Low Loft Systems, Lifestyles Furniture and Unique Wall Storage systems. We are located in Morrisville, Vermont in the North Central section of the state, 10 miles North of the resort area of Stowe. Our products are manufactured utilizing Select Hardwoods and Veneers. Our Painted product are manufactured utilizing the same select hardwood and Furniture Board. Vermont Precision Woodworks and its predecessors have been in the woodworking business in Northern Vermont since the early 1900’s. In the early 70’s the plant started producing wood components for the musical instrument industry, particularly piano parts. This has helped us perfect our woodworking skills for detailed pieces. During the 1980’s, we became a wood furniture manufacturer when we started making beds and bunk beds by contract for dorms and residences. During this period, we excelled in making durable furniture that could withstand everyday wear. In 1985, the factory continued in the furniture business, fabricating children’s furniture made of hard maple. Since then, VT Precision has become a wood furniture manufacturer of great reputation. Our hardwood furniture is renowned as being durable, solid, practical and, most importantly, absolutely beautiful. The same expertise and attention to detail that went in to manufacturing Vermont Precision products has gone in to the sourcing of Bolton Furniture. We communicate with our sources on a regular basis giving them feedback to ensure the product being shipped to us meets our customers expectations. We are committed to offering the best value possible for the products and services we provide. We will continue to listen to our customers to make current products better and to introduce new products to meet your needs. From us to you, we wish you all a Merry Christmas and happy holidays! 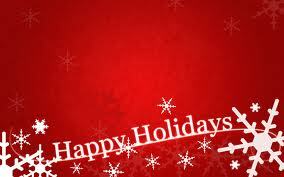 Enjoy the holiday season, family and fun and stay safe! We love telling you more about some of the brands we carry and we hope you’re enjoying learning more about some of your favorite brands as well! Today we’d like to tell you a little more about Legacy Classic Kids. So sit back and relax and have a closer look at what Legacy Classic Kids is all about. Every child is different. With a range of styles including fun and girly, sporty and adventurous, and timeless classics, Legacy Classic Kids furniture is designed to highlight your child’s constantly changing individual style and personality. Built “Kid Tough and Child Safe,” parents can rest assured with LC Kids’ commitment to safety and dedication to quality construction. A child’s bedroom is so much more than a place for sleep; it’s a constant hub of activity, a center for tea parties and space adventures, sleepovers and study breaks. Give your child a safe space to learn, grow, play, and of course, sleep, with the enduring style and quality of Legacy Classic Kids bedroom furniture. 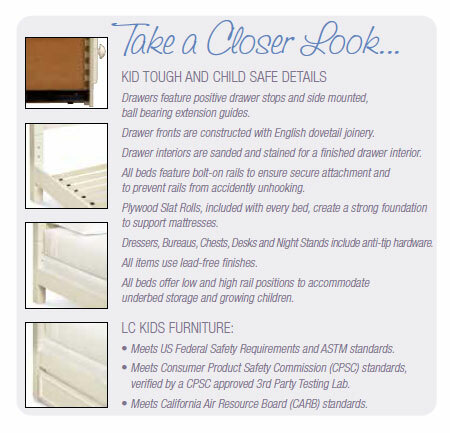 Safety is the most important thing when it comes to furniture for your child. All Legacy Classic Kids furniture is thoroughly tested before, during, and after production, ensuring each item meets or exceeds government standards. Features like double bolted rail connections, drawer stops, and anti-tip hardware ensure both you and your little ones can sleep soundly and free of worry. From quality construction to special design features, Legacy Classic Kids offers innovative and safe furniture that moms and dads can trust. Kids also grow up fast. One minute they’re creating finger-painting masterpieces, and the next minute they’re asking to borrow the car. They might outgrow imaginary friends and bedtime stories, but they don’t have to outgrow their bedroom furniture. Grow with Me collections from Legacy Classic Kids offer enduring styles and adjustable options for cribs and beds so that they grow right along with your child, from first steps to the first day of college. Time for a Furniture Inventory! Celebrate President’s Day with One Great Sale!